Would you like to increase form conversions and generate more sales? Tweaking and optimizing your order form can make a big difference in your bottom line. In this guide, we’ll show you how to boost sales with order form optimization. One of the best ways you can positively influence people to purchase a product on your site is by incorporating elements of social proof. According to TrustPulse, consumers are 92% more likely to trust their peers over advertising when it comes to purchasing decisions. That means unless you’re leveraging social proof to drive more sales, you’re leaving lots of money on the table. One of the most effective strategies to boost your form conversions and sales is by showing customer reviews on the order page, as FreshBooks does. You can encourage your existing customers to rate your products and write reviews on your site, so you can publish them on the order page to boost sales. With WPForms, you can allow your visitors to leave reviews on your site. For a detailed guide on using social proof, you can read 29 Proven Ways to Use Social Proof to Increase Sales. Form fields are the greatest source of friction in your online form. Generally speaking, reducing the number of form fields will likely boost your conversion rate. This is because shorter forms are more convenient to fill out. That being said, unlike other form types, order forms require more information to be asked. While it is not possible to reduce the number of form fields just for the sake of boosting order form conversions, you can break it down in multiple steps to create a smooth process and avoid overwhelming users. For example, in order to improve user experience and conversions, GoPro splits their order form into three steps. With WPForms, you can break up long forms quickly and easily using our Multi-page forms feature. For more assistance, you can refer to our guide on creating a multi-part form in WordPress. One of the main drawbacks of using long order forms is that many visitors will end up submitting partial entries and then abandon the form. With our Form Abandonment addon, you can even capture partial entries from your forms and follow up with those interested prospects, even if they don’t complete the whole form. This is a sure-fire method to get more leads without increasing your traffic. You can learn more details on using the Form Abandonment addon with WPForms. Adding reassurance copy on your order page is another great strategy to foster trust. Reassurance copy recognizes the objections and hesitations of your customers, and reassures them. Free shipping: If you’re offering free shipping to customers, be sure to mention it on your order page. In fact, 93% of your customers are ready to buy more products on your site if shipping is free. Money back guarantee: Neil Patel found an increase in sales by 21% by offering a money back guarantee. A/B testing your form gives you a clear idea about what works best on your site when it comes to driving more visitors to submit your form. To conduct an A/B test, you’ll need to duplicate your order form and customize its elements. With WPForms, you can easily duplicate your existing form with just a single click. You can read our guide on duplicating WordPress forms if you need help. After duplicating, you can test different elements of your form, like form fields, CTA button, placeholder texts, etc., so you can keep those elements that produce great results. If you’re selling products online, you might already know that adding SSL to your site is an essential task to ensure that your order form is secure. SSL is an industry standard security measure that creates an encrypted link between each visitor’s browser and your website. 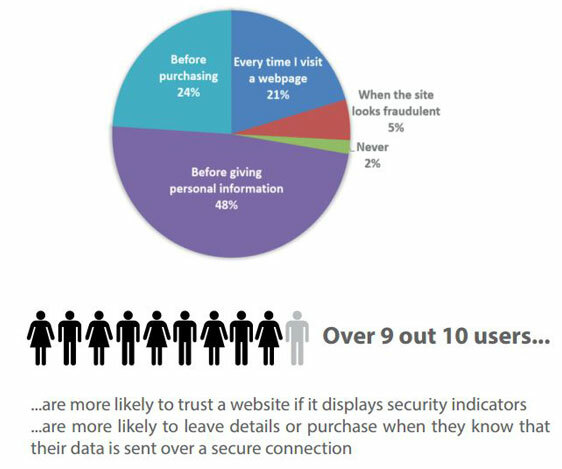 According to GlobalSign, 77% of your website visitors are concerned about their data being intercepted or misused online. If you want to entice your potential customers to make a purchase, you’ll need to foster trust by installing SSL on your site. After featuring an SSL badge on their site, online hotel booking site Central Reservation Service saw a 30% increase in their conversion rates. Symantec revealed that adding SSL to their client sites increased the conversion rate anywhere from 10% to 87%. We hope this guide gives you some insights on boosting sales by tweaking and optimizing your order page and order form. Your website and audience are different from the examples in the article. You can test what works best on your site and use order form optimization to boost your conversions. You can also read our guide: 10 Research-Based Tips to Improve Contact Form Conversions.